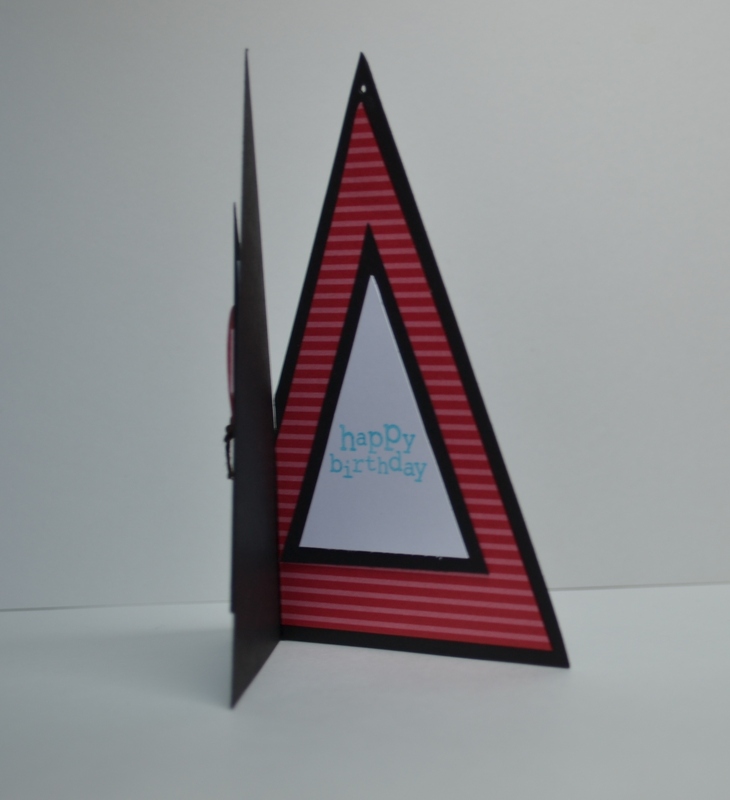 I knew when I got the Perfect Pennants Die for my Big Shot that I was going to love it! This little tag is just one of the reasons!! Making this is really easy and I love that it is different. To make it I started with my die and cut the large and medium triangles out of Basic Black card stock. I then cut another two large triangles out of the Turquoise and Real Red DSPs. Finally, I cut two of the small triangles out of Whisper White. 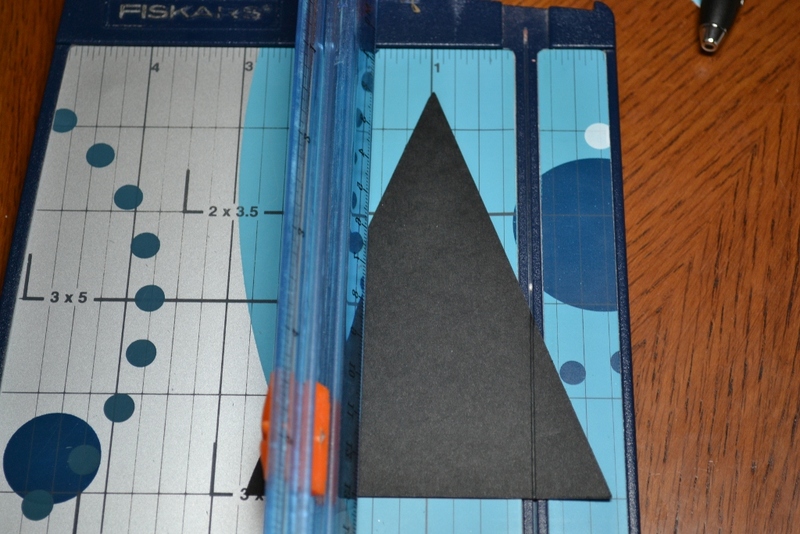 Cut 1/4″ off the bottom of both DSP triangles to make them layer properly (yes, it is that simple!!). 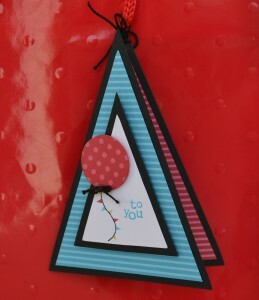 I inked up the pennant stamp using my Stampin’ Write Markers and stamped it on one of the Whisper White triangles. 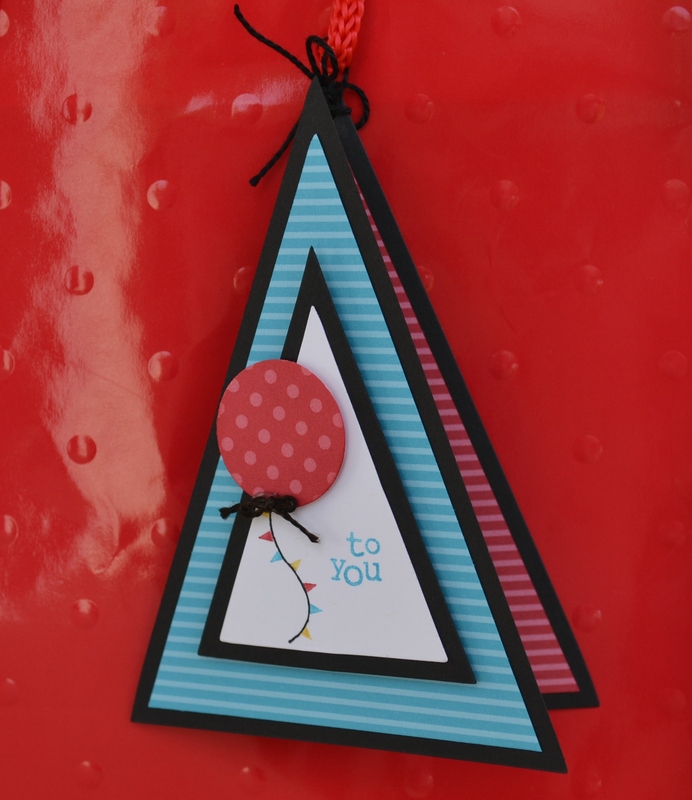 Using my 1″ Circle Punch, I created a balloon and then popped it up on a Dimensional. For the words, I inked only part of the sentiment with my marker. Next, you attach the Real Red DSP to one of the large triangles. Turn the triangle face down and score like shown in the picture. ** NOTE: I scored this way because I like to fold toward the “valley” of the score. 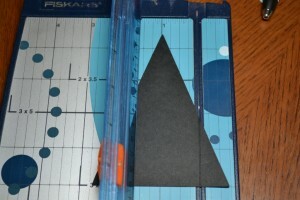 Once scored, turn it back over and put Sticky Strip in the small triangle. Attach it to the front triangle. Finish decorating the front if you haven’t already. Finally, add your little triangles to the inside. I had to cut them down just a little to make them layer correctly. I pierced a hole in the top of the tag and attached it to the bag using black thread (non-SU). I used this same thread as a little bow for the balloon. 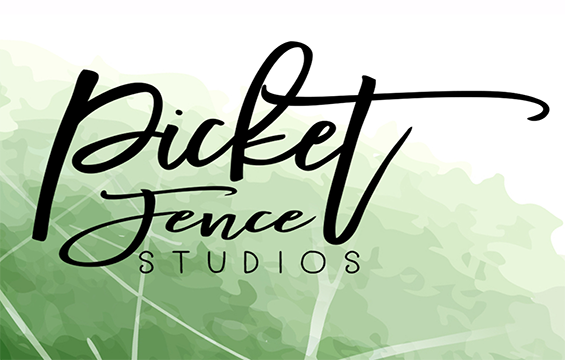 I hope you like this project! Truly, it takes longer to read about it than it does to make!! Thanks for dropping in today. Please come back Wednesday for some of the specifics on my MDS Shadow Box project from the hop. Have a great day!! 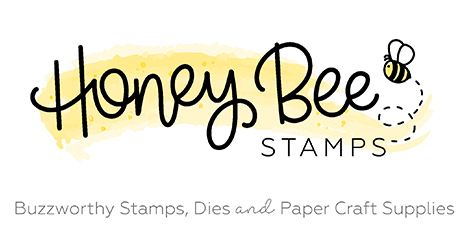 All products are Stampin’ Up unless otherwise indicated. Next post: Buy 3, Get 1 FREE!!! So cute! I love how you made that!! Thanks for the details! I love this!!! Super cute!!! Thanks for sharing the directions, too! So, so cute! I haven’t used this die yet, but this is a great way to use it! This is such a great little tag. Thanks for the project “how-to”! Very cute! Thanks for the “how-to’s”! Great way to make a tag! I loved it on the hop and now I can make one!